January 1 is always a welcome day for the majority of us because it’s a real day off. Businesses close, the daily grind comes to a halt, and we nest (usually as recovery to the debauchery of the night before). The day itself has a cozy connotation to it, an insular vibe that breeds lounging around and getting the new year off in hushed tones. And, as it goes with that which we deem as easy or beneficial, we create the necessity to stain the calm of the break we get with the need to accomplish something, to produce, to not get to complacent. It’s resolution time. 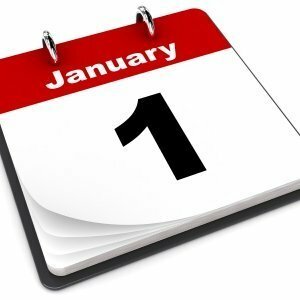 As I mentioned in The Examined Life, every single one of us can identify at least one aspect of our lives where we’d like to see changes occur, and we pounce on that opportunity come the beginning of the year. It becomes our raison-d’être until January’s motivation turns into the slump that is February, and by March our sights have moved from where we were to where we’re going as we get ready for the prime months of the year. What started off as good intention ends up bleeding into the rest of the things that we start and never see to completion. And there’s a very simple reason for that. You won’t be able to effect sustainable change simply because the date crawls past January 1. The concept that one specific day out of the year is better than another to start making the most out of the resources and opportunities that we have available is ridiculous. Every day that you can wake up and move is a potential platform for improving your life. But real changes, sustainable ones that don’t peter out with the arrival of the newest distraction, don’t take flight with simple hope and intention. The only time real change manifests is when you’re so fed up with the state of some aspect of your life that you simply refuse to let it continue on as it is. You may not know what the alternative will look like, but you sure as hell know that you’re done with what’s nagging at you, what’s begging to be seen as the instigator towards something better. The tables will only start to turn when you can no longer stomach sitting at the one you find yourself. And so if you’re hell-bent on getting those resolutions sorted on January 1, make them revolutions. Set your intention to change that one thing that you’re sick of dealing with, the one thing that you recognize keeps rearing its ugly head over and over again. Change the one thing that you keep coming back to that has insidiously convinced you to believe it as being true, that has led you to redefine who you are. The patterns that you can’t seem to break free from, the ones that bring feelings of hopelessness and despair, are the ones you want to target. If you’re going to do this, you might as well do it big. Set your sights on the aspects of your life that, when altered or eradicated, will help you change the way you’ve been thinking and lead you to new heights. Create new patterns, ones that show you the benefits of surrendering to the fact that what’s familiar and what’s gotten you here can be tweaked and moulded to bring you that much further. The ground you’ve covered has been well-traveled, but the journey continues. And so go for that thing that will continue to propel you forward. Keep fighting for what’s right for you, and don’t take no for an answer. Have faith in the knowledge that you will be able to handle whatever life throws at you, regardless of how dire the risks you’re taking seem. You will handle everything with intelligence and determination, and you will land on your feet barreling forwards. If you’re going to play the resolution game, make it more than an exercise. Get your hands dirty and dig deep. The payoff will last way longer than through the third or fourth month of the year, and will condition you to keep aiming high. It’s time to get your own personal revolution started.